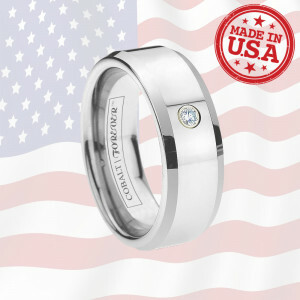 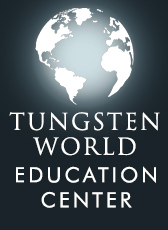 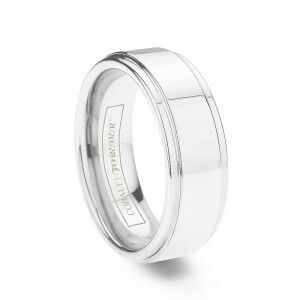 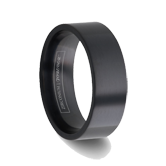 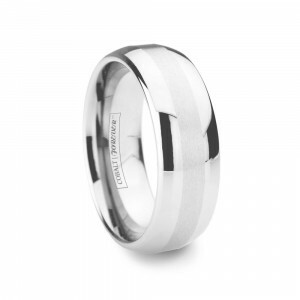 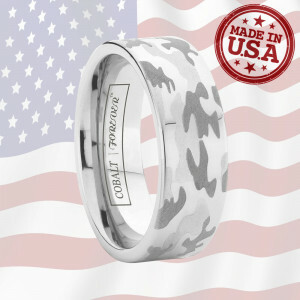 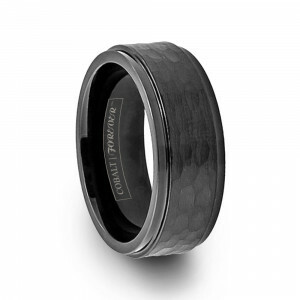 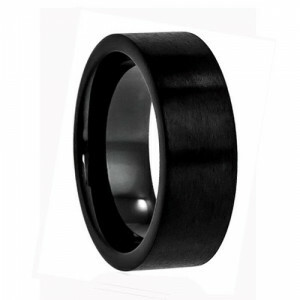 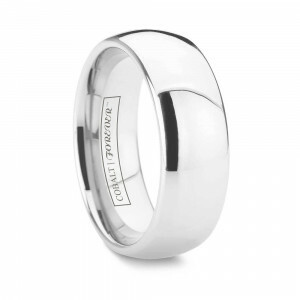 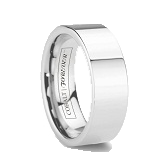 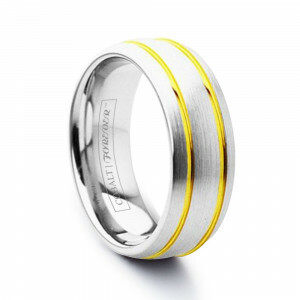 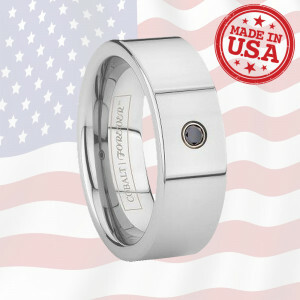 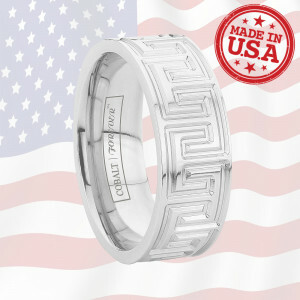 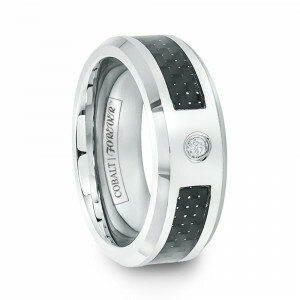 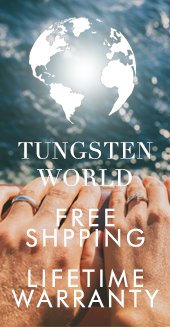 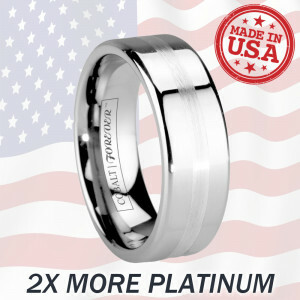 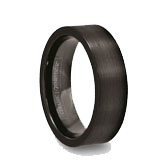 Maintaining the high standards already set by our popular tungsten carbide wedding bands, TungstenWorld.com's line of Cobalt Chrome Read more...wedding bands are the simple combination of elegant, designer-quality wedding band styles and the durable strength of Cobalt Chrome. 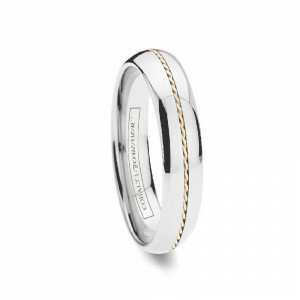 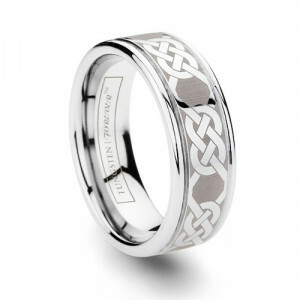 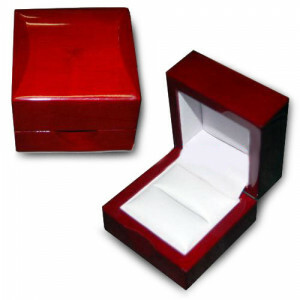 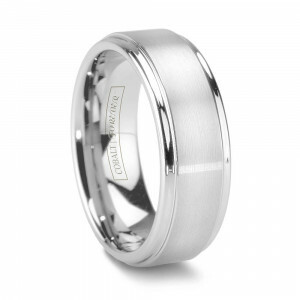 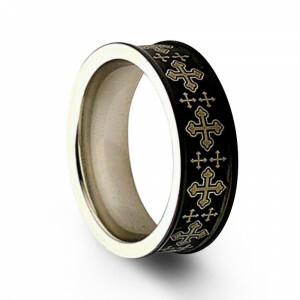 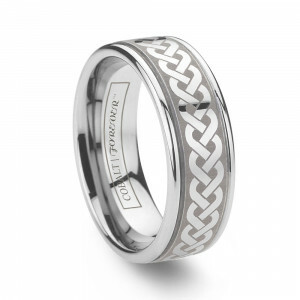 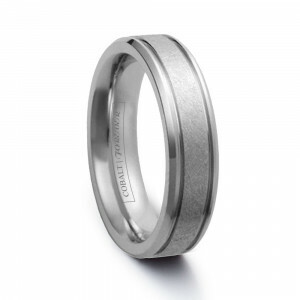 The perfect wedding bands for men or women, cobalt wedding bands are in a wide array of styles and widths, and as you would expect from any TungstenWorld product, they boast craftsmanship and warranties that are top of the industry. Cobalt chrome wedding bands for men and women feature a white-metal coloring akin to white gold and platinum, while coming in an array of widths, brushed and high polished finishes, and an array of beveled, grooved and domed cobalt ring styles. 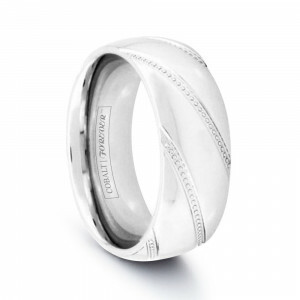 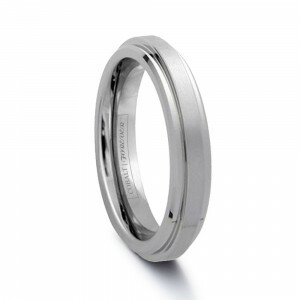 Cobalt Chrome Wedding Bands provide their wearer with the confidence of a ring built to last, along with the style of an expertly crafted wedding band. 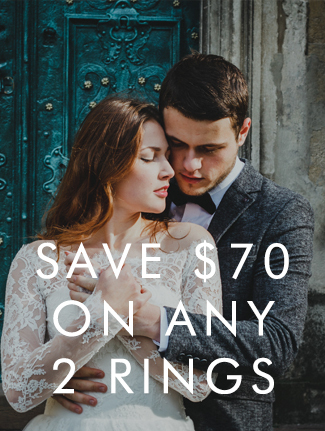 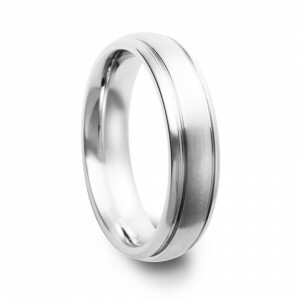 Made from the metal alloy of cobalt chrome, which has been used in the medical industry for years, these women’s and men's wedding rings boast a superior strength and durability not found in precious metal weddings bands made of gold, silver and platinum. 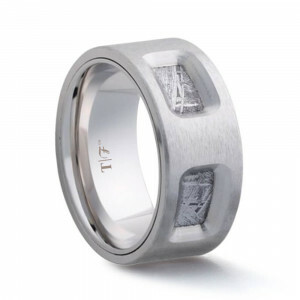 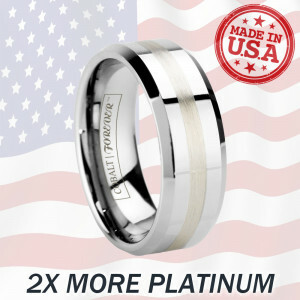 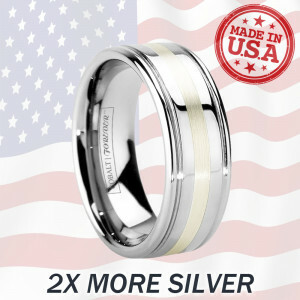 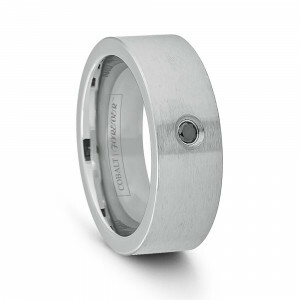 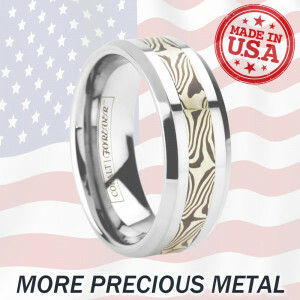 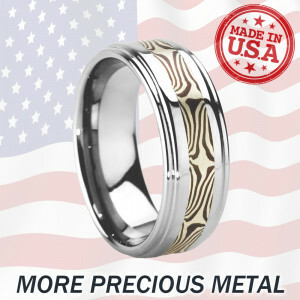 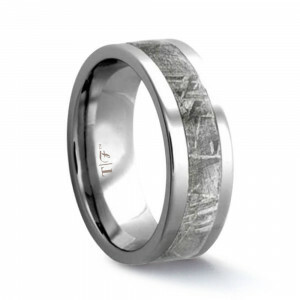 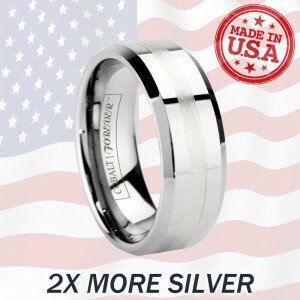 Heavier than titanium, but not quite the same weighted feel of tungsten carbide, cobalt chrome wedding bands exhibit a higher degree of scratch resistance than titanium and are shatterproof. 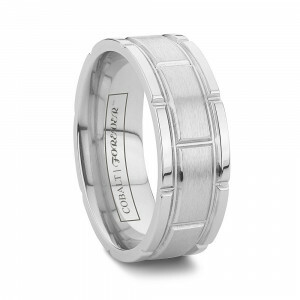 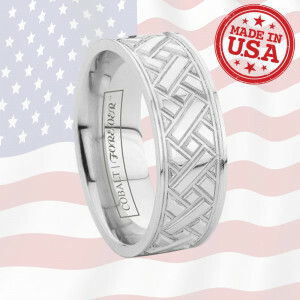 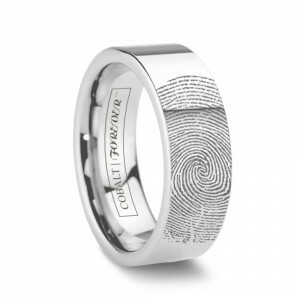 Coming in shades much lighter than the rugged, gunmetal finish of tungsten carbide, cobalt chrome has a coloring more akin to that of "whiter" metals like white gold and platinum. 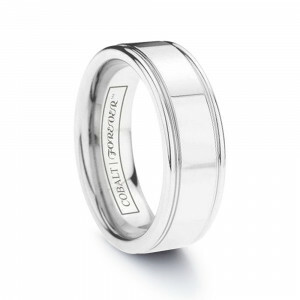 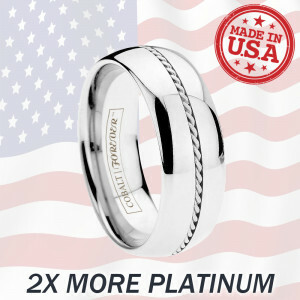 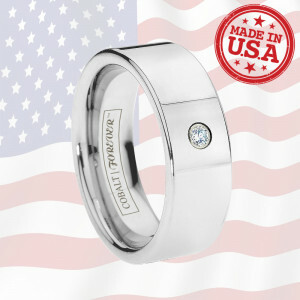 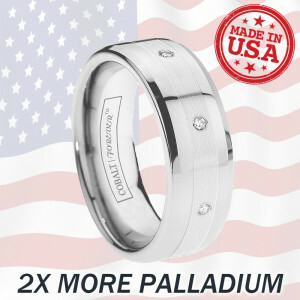 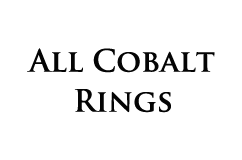 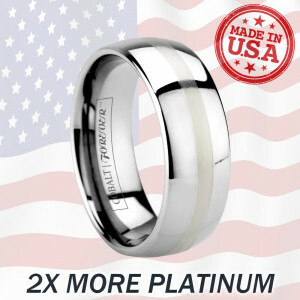 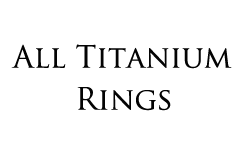 However, unlike white gold, there is no need for rhodium plating, which gives white gold its coloring. 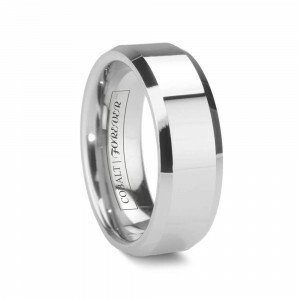 Cobalt chrome wedding bands are natural white in appearance and will remain free of scratches longer without the hassle of constant re-plating.